LIVE from the Orlando Improv! 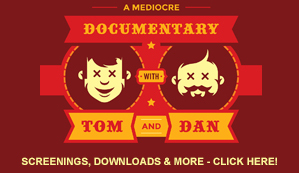 Thanks to all of the fantastic #BDM members that came out to our first ever LIVE “A Mediocre Time with Tom and Dan” podcast! We had a blast and it was more than fantastic seeing all of you guys! Special love and thanks to Ross and Samantha for helping us knock it out of the park! You both are amazing and we’re so very blessed to have you both working with us. Also, all love to our wives for taking the time to man the merch table and sell our silly shirts. 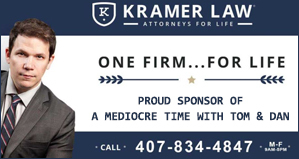 You are both the best partners that any two men could ask for and we love you! Thanks to Krista and all of her team at the Orlando Improv. It’s a dream and an honor to grace the stage of arguably the most iconic named comedy club in America! Thanks so much for treating us like kings. Last but certainly not least, thanks to our comics for the night – Ross Padgett and Alex Luchun. You both were fantastic and we were so very happy to have you there to help make us look good! Lucky us. Ok kids, we’ll see you next time! Enjoy! And if you missed this one, trust us when we tell you that we’re more than likely going to do another one of these LIVE shows as soon as possible. If you’re not already a BDM – you’re really missing out. 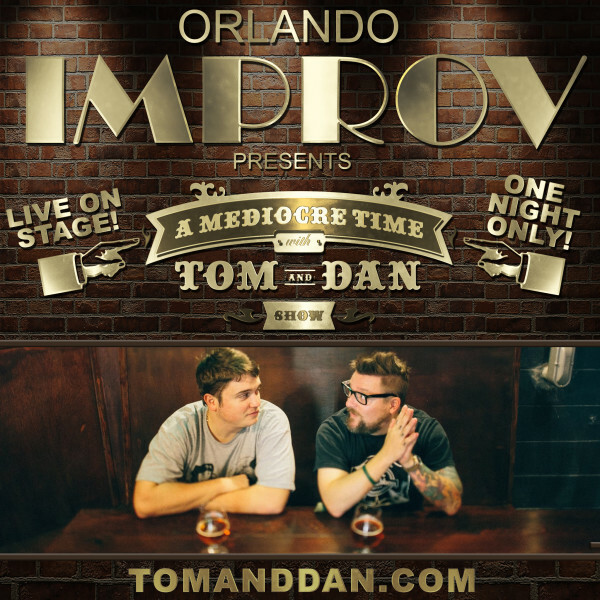 Go HERE to sign up if you’d like 2 extra shows a week and lots more “Tom and Dan” goodness!